Where will all these folks with “deep analytic skills” come from? 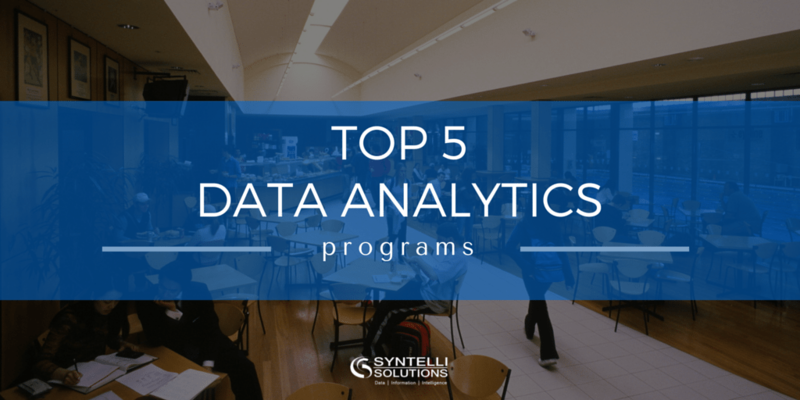 More and more data analytics and data science programs are remodeled or started every year. But we all know that not all graduate programs are created equal. Who offers the best graduate data science programs? Not to miss out on a good blog post topic, we’re wading into the discussion. But, as usual when we look for “the best” of anything, the topic isn’t simple as it first seems. Who’s the Best, and What do Top Programs Have in Common? Basic requirements include programming, statistics and other mathematics. No surprise here. However, the technical level of student experience varies by the type of analytics. Predictive and data analytics programs require more technical mojo, business analytics somewhat less. A bit of creativity always helps. Becoming a data science ace involves more than being a math or programming wizard. It requires creative experimentation, which means intuition and creativity count, too. We’re looking at the program requirements and focus of the five schools that come up in lists more often than anyone else. Primary focus: Learning from data to gain useful predictions and insights. Pre-program requirements: Programming experiences and a basic understanding of statistics. Wrangling, cleaning, and sampling data to get a suitable data set. Managing and getting access to big data quickly and reliably. Performing exploratory data analysis to generate hypotheses. Making predictions based on statistical methods such as regression and classification. Communicating results through data visualization, stories, and interpretable summaries. Program focus: make sense of real-world phenomena and everyday activities by mining and compiling big data to discover patterns, relationships and trends. Take-away skills: Better understand the mathematical and statistical underpinnings of data science. Several emphases offered, each with different program lengths and prerequisites. Hands-on learning in business intelligence, data analytics and information technology. Use applied business methods to acquire skills needed for an analytic technology practice. GIS mapping, analytical reporting, segmentation analysis, and data visualization. A carefully designed mix of statistics, other types of applied mathematics, computer science, and business practices. A hands-on approach to learning. Engage in analytics as part of a team. Find and effectively communicate practical understanding gained from a vast quantity and wide variety of data. Learn how to tackle real-life analytics problems with data provided by industry and government sponsors. Learn how to use the latest analytics tools such as Hadoop and SAS.